As a CPM, I provide complete prenatal, birth and postpartum care for healthy women and babies. I can begin care for you as early in pregnancy as you would like. Visits are done either in your home or in my home office. I do not do ultrasound, however that is a simple referral to a local office which your insurance typically will cover. When you are in labor myself and an assistant come to your home and care for you, all postpartum care is done in your home. I specialize in offering home water birth. It is extremely important for women to have a supportive birth team serving them when it time to have their baby. You deserve respect and to be treated very well and to be an active participant in your care! Babies deserve to come into this world GENTLY! I care for my clients with a whole family, individualized approach! We are a team working for the same goal! ~ Minimally we need to do 7 prenatal visits, but I often do more like 10 to 14 on average. ~ All prenatal care is done in your home or you are welcome to come to my home office. ~ Postpartum and newborn care up to 8 weeks after birth! My doula service includes us meeting at least 3 times prenatally to plan for your birth, attendance at your birth, and a postpartum visit at one week. As your doula I am your source of information, support and advocate. We meet several times during your pregnancy so that we can formulate your birth plan and get to know one another. This helps me to serve you best when your big day arrives. I am there to support your family unit and work to unify partners, not get between them. My goal is empowering you and supporting you to make your birth the best it can be! Although I am not a certified doula I have had 8 of my own children, all with very different birth stories! I have also attended over 60 births in the last few years supporting women to have the best outcome for their situation. My fee for doula services is $1100.00. If you prefer less education and just birth support we can arrange a lower rate. An interview is always no charge! Call me to set up an interview. If we are a good fit and you select me to be your doula, a deposit of $400.00 will be due at our first meeting and then the remaining balance due by your 39th week of pregnancy. This is a combination of doula and midwifery services. Some women are not desiring to birth at home but they would like the more attentive care during their postpartum weeks. Honestly, when you deliver in the hospital you will only get ONE visit with your Dr. sometime within the first 6 weeks. If you choose montrice services with me I will meet with you 2 or 3 times in your home to help you prepare for your birth. I will then come to you when you are in labor and I WILL do assessments on you and baby before going in to the hospital for the birth. This would include fetal heart rate, moms vitals and cervical checks (if desired). This service also include 3 home visits after you return home from the hospital which include checking moms vitals, baby’s vitals, baby’s growth (weight and length measurements), lactation assessment and support, general new mom support in transitioning to a new family member. My fee for montrice services is $1500.00. I love offering this service to women! It is such an easy way to replenish lost minerals from birth and to get back to feeling normal with more energy more quickly. Your bleeding time will be shorter and your mood will be better. I do this for a straight fee of $200.00 Even if you are not my midwifery client I would be happy to serve you in this way. I come pick it up from you then process it and get it right back to you with in 24 hours. I collect $100.00 up front then the balance of $100.00 upon delivery. I do give a discount to my doula or midwifery clients for Placenta Encapsulation. I can also create a placenta tincture for you. I charge $20.00 for the tincture. I deliver the tincture to you in 6 weeks. Tinctures will last many years! I am happy to travel to you to pick up your placenta and bring it back to you once it is done. If I travel more than 40 miles from Columbia I do charge an additional $30. I am happy to travel up to 60 miles for this service. 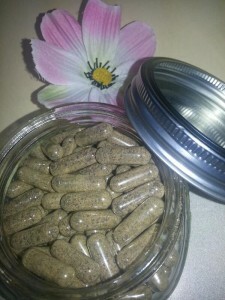 Extensive information about why placenta encapsulation is so good for you!